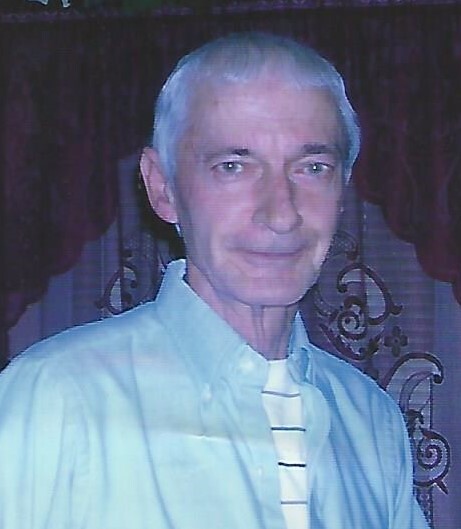 Obituary for Donald Alfred Carman, Sr. | McCoy-Moore Funeral Home Inc.
Donald Alfred Carman, Sr., 77, Gallipolis, Ohio passed away Thursday, December 6, 2018 at his home after a lengthy illness with his loving family by his side. Donald was born August 17, 1941 in Addison Township, Ohio, son of the late Paul W. and Grace G. (Nibert) Carman. An U.S. Air Force Veteran, he loved being outdoors mowing his lawn, his truck, gardening and spending time with his grandchildren and family. He leaves behind to cherish his memory his wife, Carolyn (Gardner) Carman, Gallipolis and children: Donald Carman, Jr. and Missy (Rick) Rardin, both of Gallipolis, Ohio; grandchildren: Bethany Mae Coburn, Gallipolis, Ohio; Samantha Lidel, Buckeye, West Virginia; Jacob Rardin and Jordan Rardin, both of Gallipolis; great-grandchildren: Mason Miller, Buckeye, West Virginia and Brock Coburn, Gallipolis, Ohio. Also surviving are siblings Earl (Eulah) Carman, Porter, Ohio and Ruby (Bruce) Wilt-Landsberg, Gallipolis, Ohio as well as several aunts, uncles and extended family members. In addition to his parents, he was preceded in death by a sister, Grace Pauline Moran. Private Funeral services will be conducted in the McCoy-Moore Funeral Home, Wetherholt Chapel, Gallipolis, Ohio with Burial to follow in Gravel Hill Cemetery, Cheshire, Ohio, both at the convenience of the Family.